Atlanta, GA – USTA Southern announced the Atlanta Athletic Club will be the site of the 2010 Atlanta Tennis Championships, July 19-25. The Atlanta event will serve as the kick-off to the 2010 Olympus US Open Series. USTA Southern purchased the sanction for the ATP World Tour 250 tournament last December. The event had been played in Indianapolis. “The Atlanta Athletic Club is pleased to host the upcoming Atlanta Tennis Championship this July and the best tennis players in the world,” Atlanta Athletic Club General Manager Chris Borders said. In 2005, the USTA recognized the Atlanta Athletic Club as the National Tennis Facility of the Year. In 1991, the tennis facility was voted the best tennis facility in the state by the Georgia Professional Tennis Association. In 2005, after a major renovation, the tennis facility again won the GPTA award. Premium tickets will go on sale Tuesday, Feb. 16 at 9 a.m. ET. For an order form or other ticket info, call (678) 527-2138 or email tickets@atlantatennischampionships.com. The tournament web site is www.bbtatlantaopen.com. The club was the site of the previous ATP tournaments played in late April from 1986-2001. From 1986 to 1999 it was called the AT&T Tennis Challenge. In 2000 it was named the Galleryfurniture.com Tennis Challenge and, in 2001, it was called the Verizon Tennis Challenge. Singles champions include former No. 1 players Andy Roddick (2001), Pete Sampras (1998) Andre Agassi (1989, 1991 and 1992) and John McEnroe (1985). In 2001 the tournament drew 75,097 fans, had a $400,000 purse and was telecast by FOX Sports Net to 114 countries. 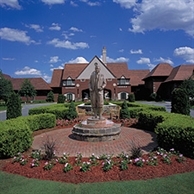 The Atlanta Athletic Club is located at 1930 Bobby Jones Drive, Johns Creek, Ga. 30097. The club has hosted numerous top golf events including the 2001 and 1981 PGA Championships, the 1976 U.S. Open and the 1990 U.S. Women’s Open. It will also be the site of the 2011 PGA Championship. The USTA is the national governing body for the sport of tennis in the U.S. and the leader in promoting and developing the growth of tennis at every level – from local communities to the highest level of the professional game. It owns and operates the US Open, the largest annually attended sporting event in the world, and launched the Olympus US Open Series linking 10 summer tournaments to the US Open. In addition, it owns the 90 Pro Circuit events throughout the U.S., and selects the teams for the Davis Cup, Fed Cup, Olympic and Paralympic games. A not-for-profit organization with more than 730,000 members, it invests 100 percent of its proceeds in growing the game. It is divided into 17 sections, of which USTA Southern is the largest. The 185,000 USTA members living in Alabama, Arkansas, Georgia, Kentucky, Louisiana, Mississippi, North Carolina, South Carolina and Tennessee make up USTA Southern, and account for approximately 25 percent of the total USTA membership. The section owns and operates the Atlanta Tennis Championships, an ATP World Tour 250 tournament. A professional staff housed in Norcross, Ga., carries out USTA Southern’s daily operations, but policy is formed and much of the organization’s work is executed via a board and committee structure of over 200 volunteers. For more information about the types of programs and services offered by USTA Southern, visit www.southerntennis.com.